Dewi is a very ordinary boy from a small village called Ystrad in South Wales. His primary school makes a visit to the big international cricket stadium in Cardiff and nothing is quite the same after. The visit both sets up many problems for him and also inspires him with help from others to make some bold decisions as he encounters at least three big challenges. Dewi finds that his love for cricket and Glamorgan takes him to new fields where he learns how to win in many more ways than he ever thought possible. Just in case you think this is just for boys, you’re wrong as the real hero is a girl. Dewi also finds out about a dragon. An ideal read especially if your school has made a visit to Glamorgan Cricket’s headquarters stadium … and if not why not? the priceless item he wants so much. the four Fielding children find themselves in an adventure which takes each one of them into a new understanding of themselves and the world. The journey is everything! Book 2... 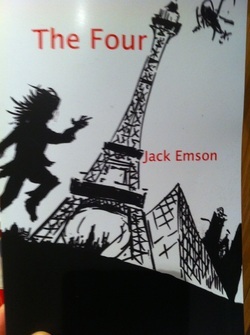 The Sequel... "The Legacy"
The four Fielding children are on the run again. Called back to an adventure. They’d hoped was in the past. Drawn into solving a series of carefully placed clues, they are driven across the mighty chateaux of the Dordogne and peaks of the Swiss Alps en route to an explosive finale. in the not so distant future? The epic journey comes to an end, of sorts. The Fielding four are joined with others who contribute to their final journey, some for good, some not so and some….well. Desperate events force the four across the mysteries of Egypt, an Ankh, the allure of Italy and the wide flung open places of the United States of America. The Four carry on and with these others find out the discoveries they each need to make….so read on if, that is, you can keep the pace of course….Maybe journeys don’t end? 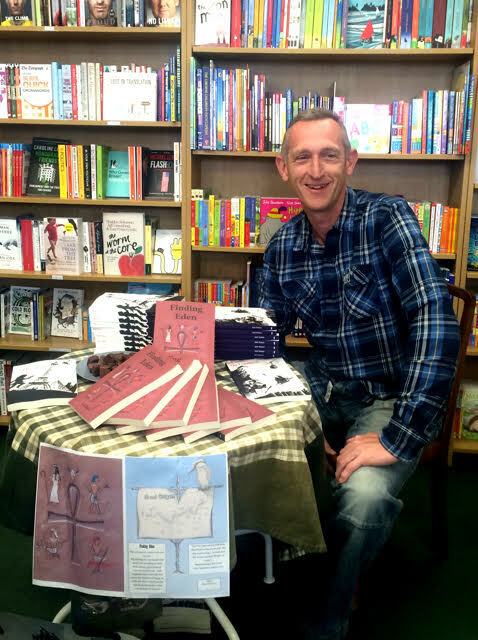 The book is NOW out !! Go to Griffin Books Penarth and grab a signed book! Read the short story " A Christmas Eve"